Our podiatrists are foot surgery specialists with over 100 years of combined private practice experience in podiatric medicine and are board certified by the American Board of Foot & Ankle Surgery. Our highly skilled podiatrists are qualified to provide total foot and ankle care for a variety of problems including sports injuries, skin problems, sprains, fractures, arch pain and more. Read more about each of our specialists by clicking on their names below. A native of Akron, Ohio, Dr. Regal attended Ohio State University. He received his medical degree from the Ohio College of Podiatric Medicine. His residency training was completed at the Baptist Memorial Specialty Hospital in Memphis, Tennessee. In private practice since 1987, Dr. Regal is certified in foot surgery by the American Board of Podiatric Surgery. Dr. Hyatt is a native of Burlington, North Carolina, and graduated from Greensboro College. He received his medical degree from the Ohio College of Podiatric Medicine. His residency training was completed at the University of Maryland Medical Center, in Baltimore and the Veterans Medical Center in Baltimore. At the Veterans Medical Center Dr. Hyatt specialized in vascular disease and surgery as well as wound healing. Dr. Hyatt then completed a Podiatric Surgical residency in Cuyahoga Falls, Ohio. He is Board Certified in Foot Surgery by the American Board of Podiatric Surgery. Originally from Charlotte, North Carolina, Dr. Wagoner is board certified in foot surgery by the American Board of Podiatric Surgery. He received his Bachelor of Science in Biology at East Carolina University, and his Doctor of Podiatric Medicine (DPM) from Temple University School of Podiatric Medicine in Philadelphia; before completing his residency at Temple University Health System, where he worked in a Level 1 trauma center. Dr. Wagoner also completed comprehensive training in a four-year residency, gaining experience in forefoot, rearfoot, traumatic and reconstructive surgery, as well as limb salvage. A Lancaster, South Carolina native, Dr. Titorya Stover graduated from Clemson University with a Bachelor of Health Science degree before attending Barry University in Miami Shores, Florida, where she earned her Doctor of Podiatric medicine with a dual master’s degree in Public Health and Biomedical Science. Dr. Stover was also a Chief Resident physician of Podiatric Medicine and Surgery at the VA Medical Center in Northport, New York; and a Fellow of Sports Medicine and Surgery at the Specialty Surgical Center at UCLA and the Motion Picture and television Fund affiliate. Dr. Brent Evans, DPM is a podiatric surgeon with specialized training in surgical reconstruction of the foot and ankle. He has an extensive background in lower extremity trauma, surgical reconstruction of foot and ankle deformities, and sports injuries. Originally from Orange, TX, Dr. Evans attended the University of Utah before studying at Barry University School of Podiatric Medicine and becoming Chief Resident at the internationally recognized Jackson Health System in Miami, FL. In his free time, Dr. Evans enjoys all outdoor activities as well as spending time with his wife and three children. Originally from Long Island, New York, Dr. Michael Price completed pre-medical studies at the University of Scranton, where he majored in Biochemistry, Molecular Biology, and Philosophy. He then graduated from Temple University in Philadelphia, where he received his Doctor of Podiatric Medicine. After earning his medical degree, he completed his residency at UF Health Jacksonville. Dr. Price’s surgical training focused on reconstructive surgery of the foot and ankle, which included specialized training in limb salvage, and minimally invasive surgery. In his free time, he enjoys traveling, running, and spending time with his family. Yonkers, NY native Dr. Gregory Mayer attended Manhattan College and received his medical degree from the New York College of Podiatric Medicine, before proudly serving in the U.S. Army as a podiatrist at Fort Bragg. Dr. Mayer is Board Certified in foot surgery by the American Board of Foot & Ankle Surgery. 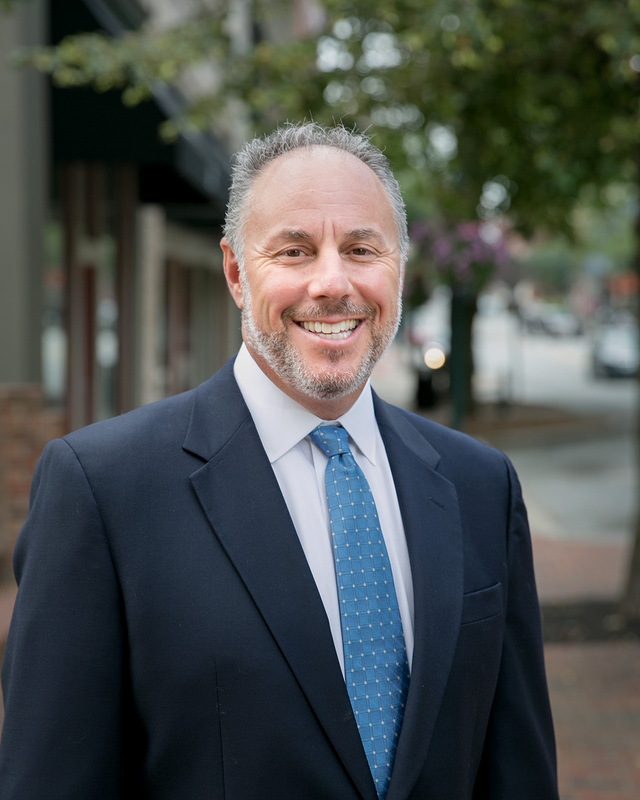 In private practice since 1972, Dr. Tuchman is the founder of The Triad Foot Center. A Cleveland, Ohio native, Dr. Tuchman graduated from Miami University in Oxford, Ohio. He received his medical degree and completed residency training at the Ohio College of Podiatric Medicine. Dr. Tuchman is certified in foot surgery, by the American Board of Podiatric Surgery. Originally from Bluefield, West Virginia, Rick Puckett completed his undergraduate study at Wake Forest University and post-graduate work at both Southeastern University and International School of Pedorthics. Rick is a board-certified pedorthist and orthotic fitter with specialized training in lower extremity biomechanics and pathologies. He has extensive experience in casting and fabricating various orthotics; shoe modifications; and bracing to address specific conditions and dysfunctions of the foot, ankle, and knee. Rick also specializes in diabetic foot ulcer prevention, pediatric bracing, and customized sports orthotics that enable the competitive athlete to perform to their fullest potential. He and his wife, Robin, share a passion for bringing clean water and educational opportunities to vulnerable children in both Zambia and South Africa.